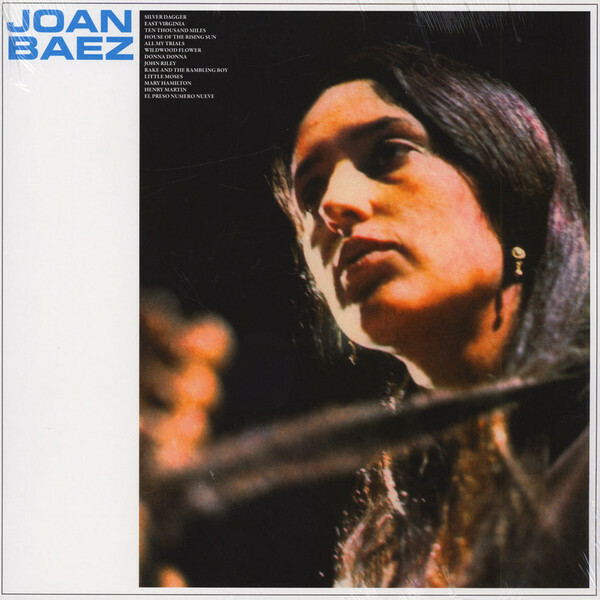 Wax Love present a reissue of Joan Baez&apos;s self-titled debut album, originally released in 1960. Joan Baez is one of the most prominent figures of the &apos;60s folk scene and a legendary musician, and activist. Growing up Mexican-American and in the Quaker faith in the 1950s instilled in Baez a strong belief in pacifism and a deep dedication to racial justice. After high school Baez moved to Boston and immediately fell in with burgeoning folk scene there, meeting the influential Odetta, and performing with Bob Gibson. It was her performance with Gibson at the 1959 Newport Folk Festival that led to her signing and this debut album, a truly fantastic piece of 1960s folk and the intro to one of the most important voices of the 20th century American left.